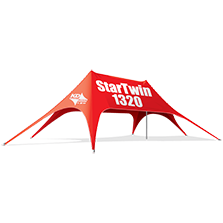 The KD StarShade tent is a tension fabric structure supported by a single center-pole and ground up tension. At 21’ high, the StarShade 800 requires a 55 foot diameter set-up area and can seat up to 88 people at banquet tables. 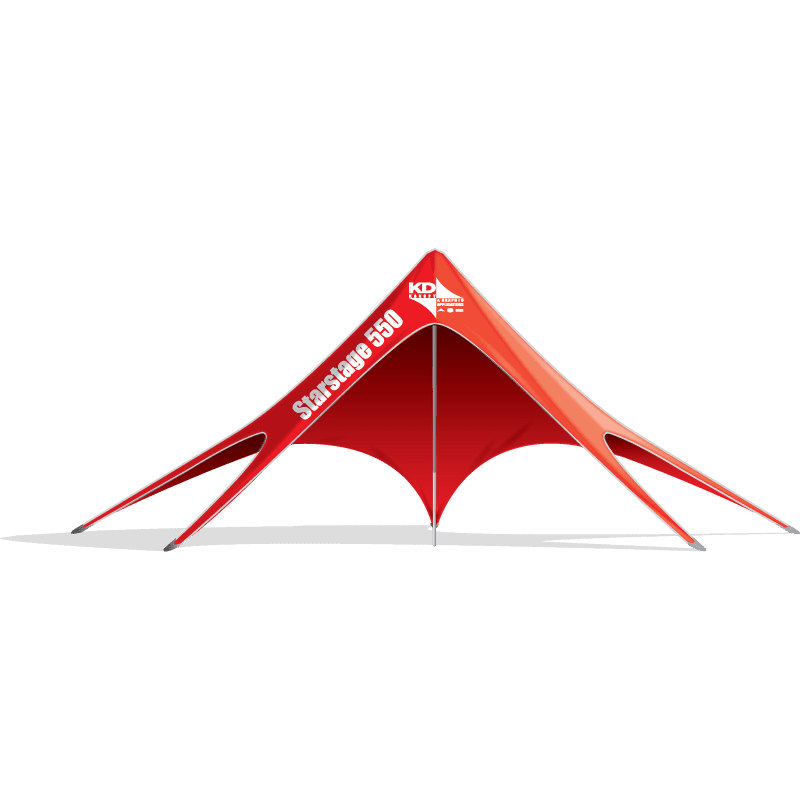 The StarShade tents fold down into 3 carry bags, which fit in the trunk of most standard vechicles. The Unique Design of the StarShade was invented by KD Kanopy. 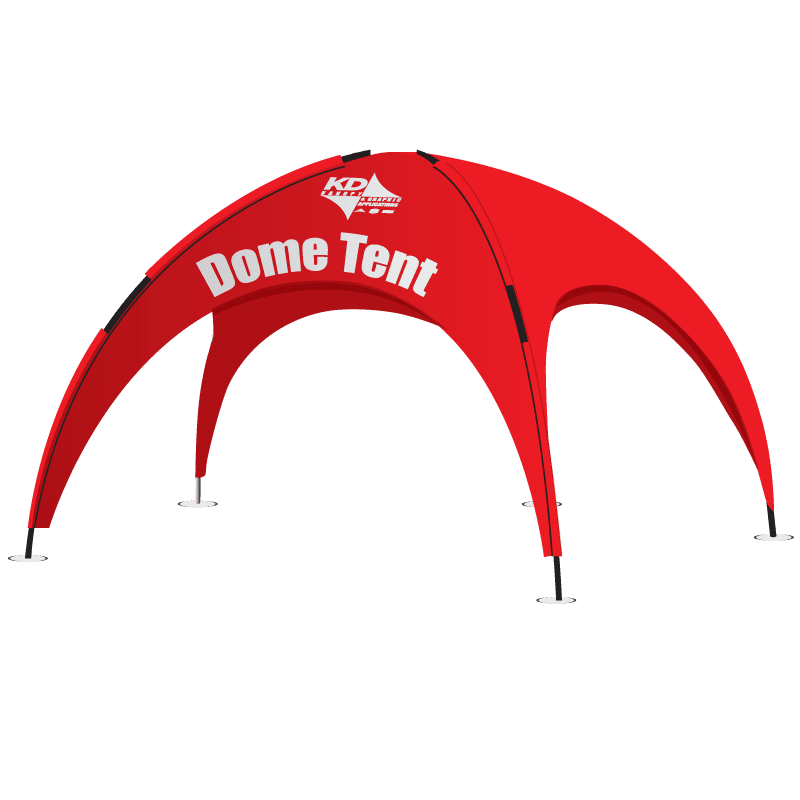 The six elegant arches give added visual appeal and, at 7‘6” high, offer ease in entering the covered area. 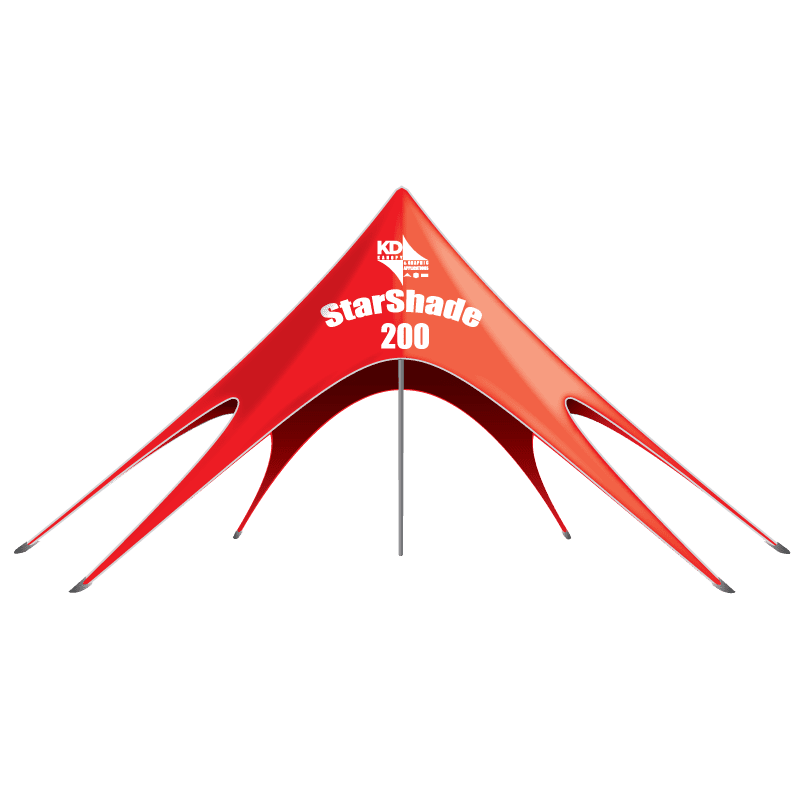 Quickly set up the StarShade 800 in about 40-60 minutes.